Complaints of odor led to the discovery of a body underneath a staircase outside a church in Cleveland's Slavic Village neighborhood on Monday, police said. 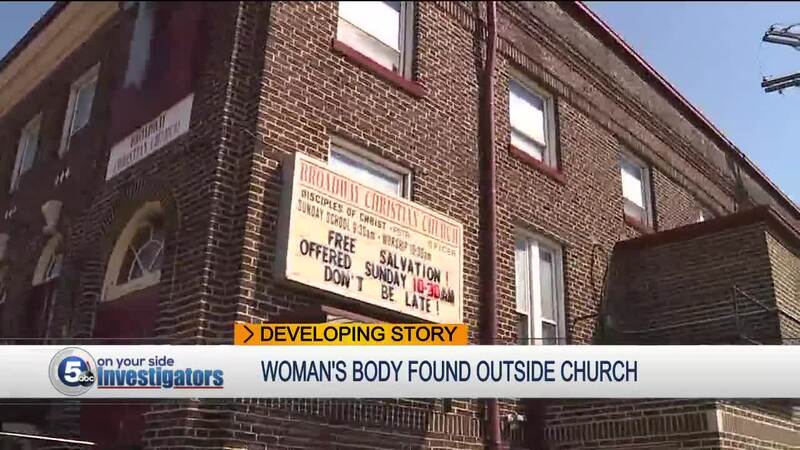 At around 7:45 p.m., police were called to the 5900 block of Engel Avenue, where Broadway Christian Church is located, after a maintenance worker discovered a body in the rear yard of the church. Police have not made any arrests. The Cuyahoga County Medical Examiner will determine the cause of death. The woman has not been identified yet. In another incident on Monday, officers were called to the 1000 block of East 146th Street after reports of a person found in a driveway with gunshot wounds. Police located a man with a gunshot wound near his vehicle, which was still running when authorities arrived. Police later learned that the man was standing in the driveway talking to another man when a white pickup truck pulled up and shot him before driving away. In a third case, police went to a home located in the 2000 block of West 91st Street at around 11:41 p.m.
A 24-year-old man was discovered in a hallway with a gunshot wound to the chest. EMS gave him CPR, but he died at the scene. All three homicides remain under investigation.